Tommex keeps pace with demand for CDC six in Poland – just! Poland – Cadac’s Polish distributor, Tommex Żebrowscy Sp. 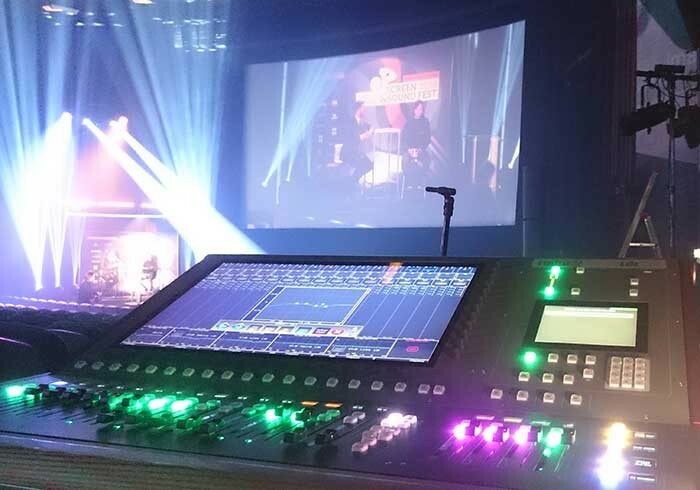 J, has been working hard to keep pace with demand to supply Cadac’s CDC six compact live production console, as it was being specified on events across the country. 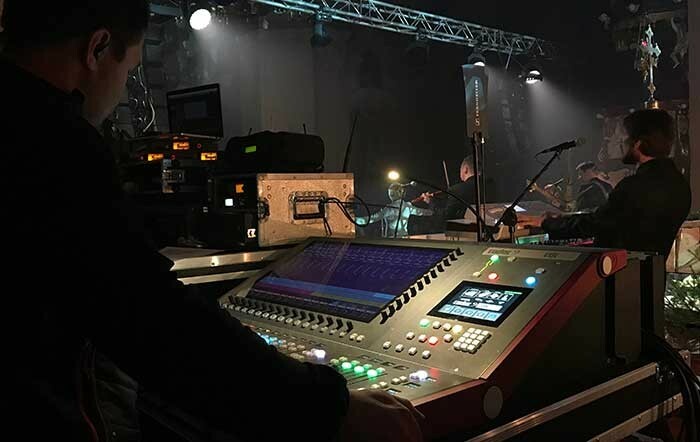 Throughout November and December, and moving into the new year, Tommex has supplied CDC six consoles, with CDC I/O 6448 or CDC I/O 3216 stage boxes, to local sound companies for a diversity of events, including gala performances, cabarets, church carol concerts and numerous concert performances. Notable applications throughout the closing months of 2016, saw the CDC six CDC I/O 6448 deployed FoH at the Final Gala of the Screen and Sound Festival on 29th October at the Kino Kijów.Centrum (Kijów.Centrum Cinema) in Krakow. Screen & Sound Festival - Let’s See The Music! is a project produced by the Bielecki Art Foundation as “a platform integrating artists’ visual imagination with the world of symphonic music”. 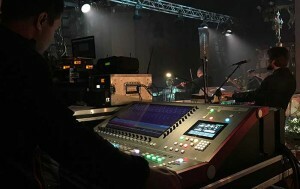 Technical production, including sound, was by the AUDIO-TECH Wojciech Lipczyński company, who specified the CDC six / CDC I/O 6448 configuration for its high I/O and channel count within a compact footprint, top end features, exceptional operational simplicity, and stunning transparent sound quality for a live orchestral production. Events in November included the occasion of the 60th anniversary of famous Krakow based cabaret Piwnica pod Baranami (Cellar Under the Rams), and a special gala performance, TA NASZA MŁODOŚĆ (That is Our Youth) in The Krakow Opera. A CDC six / CDC I/O 6448 system and CODA Audio ViRAY was again deployed by AUDIO-TECH Wojciech Lipczyński. Popular Polish singer songwriter Ania Wyszkoni performed her Acoustic Concert 20/20 in Rogów on 20 November, where sound production, by the Estrada Rybnicka company, saw a CDC six / CDC I/O 3216 system FoH with a Dynacord XA2 PA. Ania graced the CDC six a second time, in December, when the award-winning artist and her band presented a traditional Polish Christmas carol service in the Church of St. Wawrzyniec in Strzelce Opolskie. This time a CDC six / CDC I/O 3216 and CDC MC Dante bridge system was deployed by Music Land, with the CDC six running monitors, in its dedicated Monitor mode. Estrada Rybnicka company also took out the Cadac CDC six / CDC I/O 3216 and CDC MC Dante bridge system for a concert by the massively popular Polish rock artist Patrycja Markowska and her band in Tychy, in December, again with a Dynacord XA2 speaker system. On 6th January, the last day of Christmas, a gala carol concert featuring the winning laureates of the school carol contest, and the professional vocal group 6na6, was held in the Church NSPJ in Rybnik-Boguszowice. This saw Estrada Rybnicka company deploy the CDC six / CDC I/O 3216 at the front end of a CODA Audio ViRAY sound system. Confirming that the Cadac CDC six has provided new levels of versatility and performance in fulfilling high quality, compact console requirements in his market, Tomasz Boroń, Sales Manager at Tommex said: “The CDC six is creating a lot of interest in Poland. Its transparent audio quality has been perfect for the types of applications our customers have spec’d it for. With no unwanted colouration of the sound, the console can still be driven hard when required. It has been equally at home in both FoH and monitor positions.